Preston & Barbieri is an Italian company formed in 1954. In the early years, the production line was only for bumper cars. Today, we manufacture Kiddie Rides, Ferries Wheels, Polyps, Splash Battles, 3D Dark Rides, Merry Go Rounds, Wave Swingers, Monorails, Towers, Roller Coasters and Flume Rides, to name a few. Zamperla believes that continual development of new and innovative products is part of its success. To support this belief, Zamperla invests considerable funds in the research and development of new, innovative, state-of-the-art amusement rides. Many times the prototypes of today have become the must have classics of tomorrow. 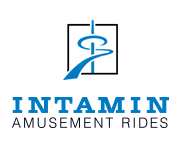 As the worldwide leading supplier of amusement rides and attractions, INTAMIN has established the most comprehensive portfolio of roller coasters, ranging from family coasters to the most thrilling LSM-powered people accelerators. Among our installations is the Moscow Monorail. For eight generations the Mack family combines daringness, experience and tradition. What started as a small carriage workshop has grown into a modern, family-owned ride production. Using innovative new developments and customer-oriented ride construction, MACK Rides has always influenced the world of theme park rides.